This blog is a great way to get to know me. Right now, most of what I write about is my family, growing a creative business, and my passion for helping grow the local church. I love speaking to businesses, churches, and groups about developing a vision and pursuing it with passion. 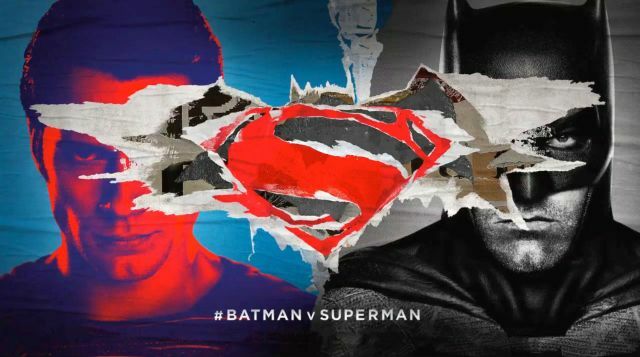 Since Batman v Superman: Dawn of Justice is a poorly edited mess, I think it’s okay if my review is just a poorly edited list of observations. 1: As a kid I always dreamed of a Superman film featuring Senate hearings and a jar of piss. Now I can check that one off the bucket list. 2: I’m not sure who’s to blame for the editing, but it’s awful. The film jumps from scene to scene with zero thought as to how they might flow. You would think a scene of Daily Planet editor Perry White saying “Where does Clark Kent always get off to?” would be followed by a scene of Clark/Superman (spoiler, sorry) off doing something. You’d be wrong about that one. 3: We get it Perry White, the newspaper business is dying, and you’re terrible at writing headlines. No need to belabor the point during every scene you appear in. 4: There is a kernel of a good movie somewhere in the bloated mess of a film. Unfortunately it’s buried deep. 5: Scary Batman is scary. The single best part of the movie is Batman being Batman on a group of criminals. This is a Batman like we’ve never seen on film before. He’s fast, terrifying and brutal. Batman/Bruce Wayne (again, spoilers, sorry) are enjoyable to watch work. I’ll happily go see a stand-alone Batfleck movie. 5(a): Ben Affleck is really terrible at looking like he’s driving/flying things. His acting prowess does not extend to any scene involving a steering wheel. 5(b): Batman, while the peak of human performance cannot, and I repeat cannot, hook a car to the back of the Batmobile, drag it several blocks and fling it with perfect accuracy to kill some goons. In a movie that asks us to believe in super powers, aliens, and the idea that we might want to see any future DC films, this is the least believable part. 6: Every second Jesse Eisenberg is on screen as Lex Luthor is like nails on a chalkboard. His performance is baffling. He doesn’t come across as evil, just nuts, and annoyingly so. Brian Cranston was originally rumored to be Lex Luthor, and that would have been amazing. 7: Mopey Superman is mopey. I loved Man of Steel, and there are shades of what made that movie good here, but they are weighed down by WB’s need to introduce an entire DC universe in this one film. 8: When they first announced this film three years ago it felt odd. Instead of going the Marvel route to success by slowly building a universe, DC was just going to drop everything on us at once. In one film we get a new Batman, Wonder Woman, Lex Luthor, glimpses of Flash, Aquaman, and Cyborg, foreshadowing of Darkseid, oh and Doomsday too. It was just too much. And I know who all those characters are. I can’t imagine the experience seeing this film and having literally no idea what’s happening. It took Marvel years to build their universe, and in that time we were able to care about the characters. This felt like an avalanche of crap no one asked for, and at the end you just have a giant mess. 8(a): There’s a point at the end when I was disappointed Ben Affleck didn’t look at the camera and say “Justice League, coming November 2017,” and then wink. Because it really felt like it would have been appropriate. 9: There were just so many moments where I stared at the screen wondering what I was seeing and why. And most of the time the film never answers the why part. Blame whomever you like, but it’s a perplexing movie. 10: The 1989 Batman was one of the biggest film events of my childhood. If you stopped 9-year-old me and told me that one day I would see Batman and Superman on screen together I wouldn’t have believed you. If you’d told the younger me that my reaction to the film would be “meh” I would have said you were crazy. 11: Director Zach Snyder has some incredible visual chops, but his storytelling ability is severely lacking in this one. 12: The last thirty minutes were simultaneously the most interesting of the film, and also just a big CG punch-fest. I generally dislike CG punch-fests, so the fact that it was the most entertaining part for me is telling. That being said, I was shocked at how boring watching Superman and Batman throw each other through walls is. 13: At multiple points I looked over at my kids to see them not even looking at the screen. Clearly a very engaging cinema experience. 14: I counted three different points where I was asking “how is this happening” only for the film to yell “haha, it was a dream, fooled you!” I mean I’m fine with that once, but three times seems like poor writing. 15: Watching the reactions to the film (both audience and critical) has been more fun than watching the film itself. Seeing the audience quietly file out is a marked departure from the fun of the Marvel films or even an experience like seeing last year’s Star Wars: The Force Awakens. 16: Give this one a big pass. The redeeming moments it has just aren’t enough to justify the investment of your time. It does such poor job making you care about anything on screen so it all just comes across as noise. They say nothing can really prepare you to be a father. I’ve made a lot of mistakes as a dad. I’m selfish when I shouldn’t be. I don’t spend enough time with my kids. I don’t show them the grace they deserve. My temper wins more often than not and shouting ensues. I can’t fix anything without cussing, so I just hire it done. I worry a lot that my kids will make the same mistakes I do. My problems will become their problems. Most days I don’t feel like I’m a good father. I often wonder what my kids will think of me when they are my age. Will they look back and think I was a good dad? Will they see my glaring flaws? I think of my dad and I wonder if he is a perfect father or if he has the same fears I do. To this day he is selfless when it comes to his sons (and really most people). He’ll drop whatever he’s doing for us. He shows grace even when we don’t deserve it. I can’t ever remember him yelling at us as kids. He does cuss a lot when fixing things (it’s genetic! ), but he actually manages to fix whatever the problem is. I know my dad isn’t perfect because he’s human, but I don’t remember him being anything but patient, loving, and available when we were kids. I know he probably feels like he spent too much time working and not enough with us, because that’s how all hard-working dads feel, but I don’t remember that. I remember a dad who would take time after work, when he was exhausted, to play baseball in the back yard. I remember a dad who had to go work one Christmas morning after we opened presents. I know now that would break my heart as a father, but as a kid I don’t remember feeling abandoned. I learned being a dad means you work hard and you sacrifice for your family. They say nothing can really prepare you to be a father, but they are wrong. Our fathers prepare us to be fathers. Some of us have great fathers, and some the opposite. Mine prepared me to be great. I didn’t learn all the lessons well, but I also have the rest of my life to be a father so there’s time to catch up. Maybe my kids will see me the same way I see my dad. Someday. The light breeze blew across the porch, rustling the napkin on the table. It carried the smell of breakfast from the tables all around. As the diners enjoyed a quiet Saturday morning breakfast, a bell began to ting in the distance. It grew louder and was joined by the rumble of a train speeding down the tracks nearby. “Here comes the train!” the dad said excitedly. A young boy leapt to his feet, his fork clattering to the table. He didn’t bother wiping the pancake syrup from his mouth as he bolted for the edge of the porch. A smile of wonder spread across his face as the sound grew louder. His arm stretched toward the train as if trying to touch it as it rounded the corner into view. The train sounded its booming horn as it approached the intersection and the boy’s eyes widened in delight. The procession of cars quickly thundered past and was gone, thumping off into the distance. “That was the train!” the boy explained. You are probably more likely to find a unicorn than a creative person who is content to do the same thing forever. The problem with being truly creative is that the biggest part of that word is create. We love to create. To build. To make. For me it started as design. I loved print design. Design evolved in to sales. Turns out that can be creative too. Then it was writing. Then photography. Then to business building and leadership. Currently I’m teaching myself to cook. I’m sitting here writing this while pondering how to start a business that makes high-end reclaimed wooden furniture. I love to create, no matter what form that takes. One of my favorite examples is my friend Allan, who built this, and also builds the most amazing desk lamps. To me the creativity is the same, whether you are building a web app or a lamp, the skill set is just different. I guess my question is, is there ever a moment of creative contentment where you don’t feel the need to make new things? Is that moment the end of it all? Growing up, I loved CHiPs. Before I could even tell time, I knew when CHiPs was coming on. Somewhere there’s a photo of me in the early 80s riding my tricycle with a police helmet, sunglasses, and a pistol. Needless to say I’ve always loved the idea of being a cop. Sadly I never took that route. But, one of my best friends did. Despite being way, way too old for such shenanigans, he decided to become a cop. We helped design the logo for his class at the police academy. Today I opened my mail box and found an unexpected box. Inside was this hat, with the logo, class motto, class number, and my name. 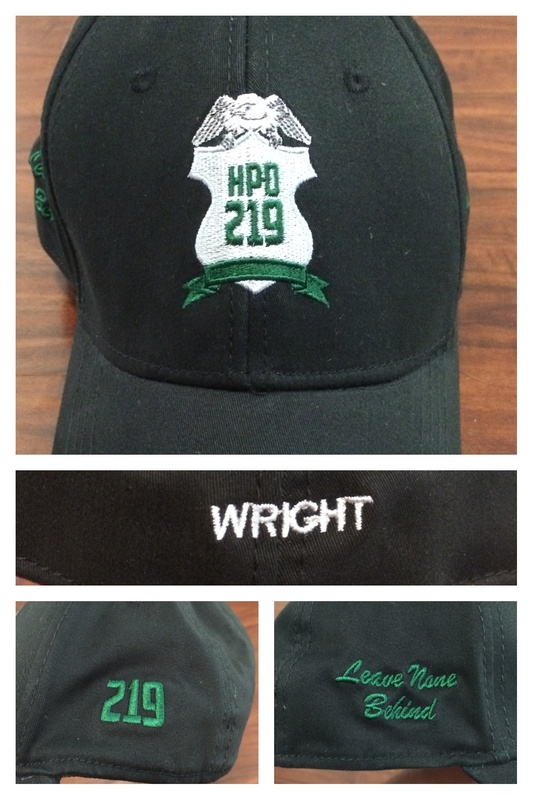 This hat is probably the closest I’ll ever get to the police academy, and it’s also one of my most prized possession. David, I’m proud of you, brother. I’ve seen statistics that always seem frighteningly high about the number of Christians who don’t actively share their faith with others. Part of the issue is opportunity. In our daily lives we might not have a conversation or relationship with anyone that leads down the road to faith. I came across this verse today. Reading that I wonder how many more opportunities to share faith are opened up when we give of ourselves. Our time, money, and effort are all incredibly valuable. When we give those up for the love of someone else, it creates a conversation. So the question is, do we love others enough to give up our money, time, and sweat? If not, I’m guessing those opportunities to share life with others will be limited. I started my company in 2005. It has changed and evolved over that time but the truth is my job has always been the same: finding clients and serving them. After nine years of doing this, I have a huge job change ahead of me. We’ve been very blessed to grow over the last few years, and this year I’ve taken a leap of faith and begun hiring people. So far we’ve added three new team members. What I’m discovering is as we hire and grow, my day is now divided differently. Instead of spending all day dealing with clients, I now spend much of the day teaching and leading our team. I’m imparting the vision of why we do what we do. I’m equipping them to find new clients and care for them. I’m making sure they are fulfilled in what they are doing. I’m focused on company structure and marketing to make sure we can afford to care for our team. The biggest thing I’m seeing is that I have to be much more intentional about my schedule. I need a lot more focus. The idea is to divide out my time and completely focus on whatever is in front of me. If there is an hour blocked off for design work, I have to turn off my phone and e-mail to focus. We have an hour every morning for calls with my team and an hour in the afternoon. During that time, they need my focus. I have to start scheduling meetings only on certain days and at certain times. This is a big change but for the sake of my health, the happiness of my team, and the future of the company, I have to become more intentional. The transition from doing to leading is a tough one, but I’m looking forward to learning. How many times have we had that exchange? What I’ve come to realize is that no one cares. Somehow we’ve come to equate “busy” with success. If I’m busy doing things, they are good things, and you should envy me. The reason no one cares is that we’re all busy. Successful or not, we never stop. I can remember days when our business wasn’t what I would call a success. I was both busy and stressed out about the amount of things that had to be done. Busy does not equal successful. How much of our busyness comes from just not managing our time well? How much of it comes from not being able to say no? In reality, we should probably be ashamed of most of our busyness, not proud of it. The busy answer also allows us to avoid deeper conversations. What do we usually say to “We’re really busy right now?” We answer, “Yeah, we are too,” and that’s about as far as the conversation progresses. Let’s just assume everyone is busy and skip that step. Maybe we’ll have deeper relationships if people really know how we are doing. And let’s stop being so proud of being busy. The idea of growing up and having to figure out what to “do” seems to be coming up more often around our house. For so many years it was focusing on the basics, like using the toilet instead of pants. Those basics are easy things. Success is well defined. Now we are turning to much more unsure ground. The thing that really scares me is I look around and see so many people that are absolutely miserable with what they do for a living. As a society, we don’t have this problem figured out. So how can we guide our kids to a life that is full of purpose and joy? College obviously isn’t the answer. I think it can be an answer, but not the answer. There you can learn some things you love and other things you don’t love. Through all the courses that you’ll probably never use in life, you can discover a passion for something. Starting a business isn’t the answer. It can be an answer, but not the answer. While it’s great to feel ownership over one’s future, so much of running a business has nothing to do with finding passion. Passion has to be discovered. We’re designed by God to have certain passions and drives. I was very blessed. I had an idea of the career field I wanted to go into by the time I was in my early teens. What’s funny is that career field has taken me to a place I never expected. I wanted to do design and marketing. And while I do that every day, I’ve come to a place where my focus is on helping people. I get so excited every day to work. It has nothing to do with money either. It’s entirely about changing lives. When we help a small business with marketing, those are people who have put their dreams into their business idea. We can help realize those dreams and make sure they endure. A business that keeps going and prospers can have a huge impact on the course of someone’s life. It took me a lot of years to get here, and I have an odd feeling my life will look even more different and even more people-focused a decade from now. So how do I help my kids get to that place? I want to send them out into the world with lots of creativity, a monster work ethic, and a drive to help others. I want them to try things, sometimes fail, pick themselves up and start over again. I want our family to always be a safe platform they can launch from when they get new ideas. I’m not satisfied with kids who just make a good living, and I’m certainly not satisfied with them being miserable while doing it. I want kids who will make a difference. For people looking at starting a business, I thought I’d give you a rundown of how my brain works when it comes to taking time off, 9 years into this thing. “You really need to take a day off,” my brain said to me early Saturday morning. My hand flew up out of nowhere and slapped me in the face. “What was that?” I yelled. My other hand flew to my cheek, stinging it. An awkward silence ensues for 10 minutes. It’s not often I hear this, but I can still remember a few years ago when I had a new client tell me this. She wanted me to take her ideas, which weren’t great, and give her exactly what she wanted. The problem was I have a deep conviction about always doing what’s best for the client, even when they don’t want it. Typically when a client wants me to do something that will hurt their brand (usually through bad design or poor strategic decisions), I’ll gently let them know why it’s a bad idea and offer creative alternatives. So what happens when they insist on bad ideas? What happens when I can’t talk them out of it? At that point I have a decision to make. Continue to serve the client by doing what they ask, or politely let them know we aren’t a good fit. If the client is just belligerent in their disregard for what we do, I’ll end the relationship. However, if there’s hope there, I’ll often forge on. At the end of the day I see myself as a teacher more than a service provider. I want to educate my clients about great design, interesting marketing, and innovative thinking. Just like educating a child, sometimes that takes a few tries. Sometimes I’ve done work for clients that I wasn’t proud of. That usually leads to the next project and we have the same discussion again. “Why don’t you try this, it would be better for your business.” They might still say no. But the next time, they might say yes. The next time they might take the spec design I did, to demonstrate our thinking, and run with it. They might begin to learn the things I’m teaching. Eventually you can transform someone who doesn’t really know what they are doing, into a great client who values your thinking, and does interesting work. And at that point, you’ve enriched their businesses and lives, rather than just provided a service. But none of that happens if you give up on the relationship the first time you’re asked to do bad work. Sometimes what’s best for the client is giving them what they ask for but continuing to push better ideas. To me it’s the difference between a teacher and a service provider. I want to be known as a teacher. There are things I know I need to do more often. Things like writing, planning marketing for my business, and just taking time off. These things are good for me, but I rarely take time for them. Usually it’s because there area a hundred other things I could be doing for my clients with that time. If I’m going to be doing something, it seems like it should be something to chip away at that never-ending pile of client tasks. But, did you notice the key words in that last sentence? The funny part is, I’m always busy. Even when I look back at times when this business wasn’t bringing in enough money to pay our bills, I was busy. I have always worked hard. I have always pushed myself and done more than I probably should have. Always. And now that the business is taking care of us and growing at an insane pace. Nothing has changed. My days feel very much like the days when we weren’t making it. I get up, tackle as many things as I can throughout the day (and some of the night) and then go to bed exhausted, never pausing to do the things I need to do. Why is it that I’m the same amount of busy in a growing company versus a failing one? I don’t know. But what I do know, is I need to take time for things that are important, because there will never be a time when I feel caught up enough to do them. I need to write more. I love it. I’m sure my high school journalism teacher would be happy/incredibly angry to see how much I enjoy writing now. It gets thoughts out of my head and on paper (screen). It allows me to think through problems and topics in ways that I don’t normally if I’m not trying to put them into words for the world to read. I own a marketing company, and sell good marketing ideas to companies every day. And, yet, I don’t take time to plan mine out. I still do it, but it tends to be in more of an “oh crap I need to get something done this month” manner, rather than a nicely calendared plan (which happens to be what I counsel all my clients to do). I’ve never been good at this and probably won’t ever be. If you look back through this blog, you’ll see an awful lot of “I really need to take time off” posts. More and more, though, I can’t push myself to work 100 hours a week too often. I can work through the weekend, and sometimes have to, but when I do, I can see I’m much less productive the week after. Maybe someday I’ll figure this out. The mountain of tasks staring me in the face today won’t all be accomplished today. I hope I’ve learned that that’s okay. The world keeps turning. Clients keep paying. We do a good job and we meet deadlines. I think I can keep doing that and take times for some small things that matter. We sat around the table today in a pizzeria as I read random posts from my blog to the kids. There were photos and videos. Stories of silly things the kids had said when they were younger. It was like jumping in a time machine as a family. As we read, watched and laughed, I was reminded of why I used to write so much. 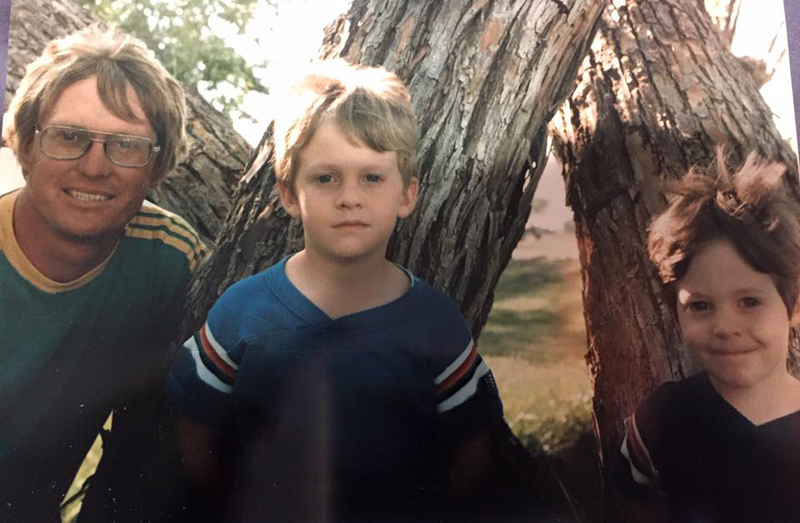 I wanted my kids to have something they could look back on when they are my age. Something to spark memories but also to see the things I did, thought and felt as a young father. I’ve never been a believer in New Year’s resolutions. There is not a magical switch that flips from December 31st at 11:59 p.m. to January 1st at 12:00 a.m. that makes you a better person. You aren’t somehow better equipped to stop doing bad things or start doing good things. Now don’t get me wrong I do believe in getting better every year, but I believe laying the groundwork for that begins way before January 1st. My one goal this year is to stop procrastinating and just get things done. I started working on this way before January 1st so I think there’s some small chance of success. This last year was like every other year, full of challenges and joys. My business grew by just under 300%. I learned a lot, including that I can’t count on always being healthy while working 100 hours a week. I’ve made adjustments, including getting some help and following my new rule: just get it done. It’s easy when the sky is blue and the sun is shining to procrastinate. Things are so nice, I’ll worry about this tomorrow. The problem is there’s no guarantee tomorrow won’t be stormy. I learned that in a rapidly growing business tomorrow always looks different than you expect. Always. So this year, instead of putting things off, I’ll try to force myself to get it done when I can. If that happens, then when the storms come I won’t feel the weight of so many unfinished tasks. I was sick for about two-and-a-half months straight during the late summer and early fall. Not one time during that stretch did I just get to take off and be sick. No time to heal. No time to rest. Granted we did as much business in August as we did in 6 months of 2012, but still. Had I known that was coming I probably would have buckled down more in June and July to prepare. I’m not hoping for another 300% growth spurt. I’m not sure I could survive. But whatever God decides 2014 looks like, I’m going to try to just get it done and see where that leaves me on January 1st, 2015.